What exactly is a Pre-tied with Height? 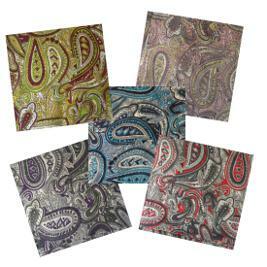 Well a regular Pre-tied Bandana is made from one piece of cloth and as such it is a very flat Head covering. Some people love the look of the pre-tied but feel it looks too flat on their head. Many women have asked for a head covering that has the comfort, versatility and ease of use of the Pre-tied head scarf but at the same time has a little bit of height in the front. Enter the pre-tied with height. Really it’s just a regular pre-tied bandana that has an extra panel (around 2 inches) sewn onto the front with a piece of foam or fabric inside that gives the front of the pre-tied a little more height. In fact these pre-tieds are also called “foam fron pre-tied bandana’s” you can guess why. Who can benefit from a pre-tied with height? Well first off, simply for style there are women who prefer the look of a head covering with height such as women who are used to wearing classic snoods with the twist front. 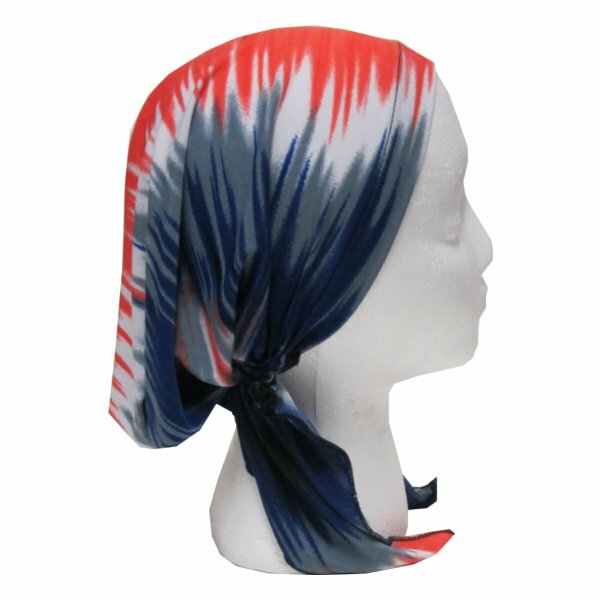 Also, women who have very thin or no hair, as well as those who suffer from hair loss from causes such as chemotherapy, alopecia areata, or trichitollimania and wish to have a head cover that gives off some height should find pre-tied headscarves with height to be an ideal head covering. We hope that you enjoy this new and innovative product.